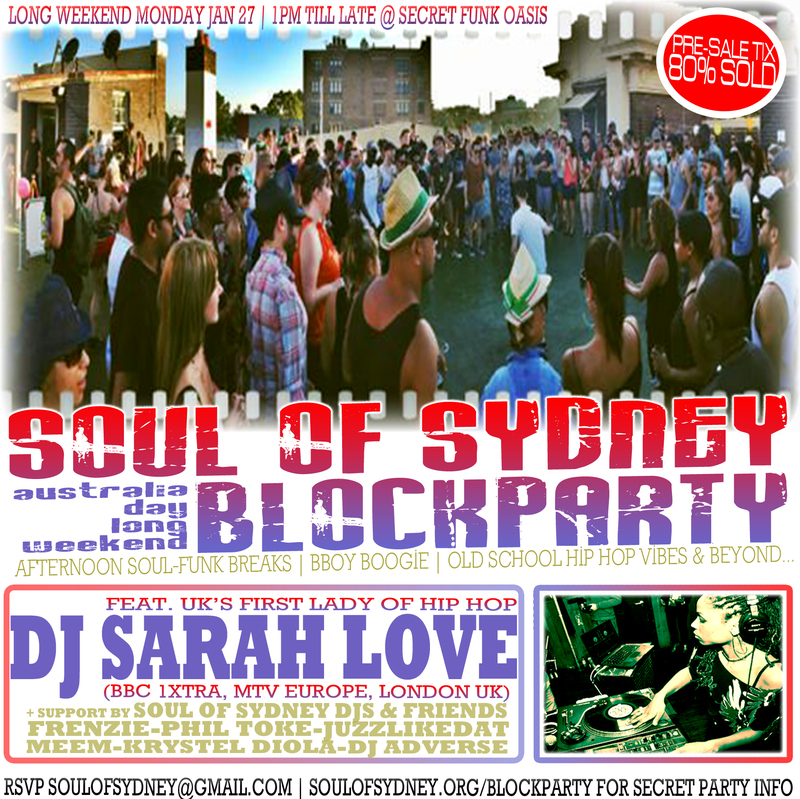 80% PRE-SALE TIX SOLD FOR SOUL OF SYDNEY AUSTRALIA DAY LONG WEEKEND BLOCK PARTY FEAT. SARAH LOVE | SOUL OF SYDNEY FEEL-GOOD FUNK SOUL DISCO vibes & beyond. Be sure get them very soon as we are looking at another sold out jam! – due to capacity and licensing there will be NO DOOR SALES if sold out again as the venue’s freak out because we have kids there & and our GUEST LIST IS CLOSED. Please support the movement & snap up your spot on the funkiest dancefloor in Sydney & get on the world famous Soul of Sydney Soul-Train. Massive love and respect to everyone who has supported us the response has been phenomenal once ages, definitely feeling loved right now.. we have now sold out every block party event for two years running thanks to all you amazing people.